Hand tossed NY style pizza prepared with the finest homemade dough and top quality ingredients are the stars on the menu at Cicero's Pizzeria. Cicero's menu also features calzones, salads, specialty Italian entrees and pasta dishes, deli sandwiches, hot sandwiches and sub sandwiches. 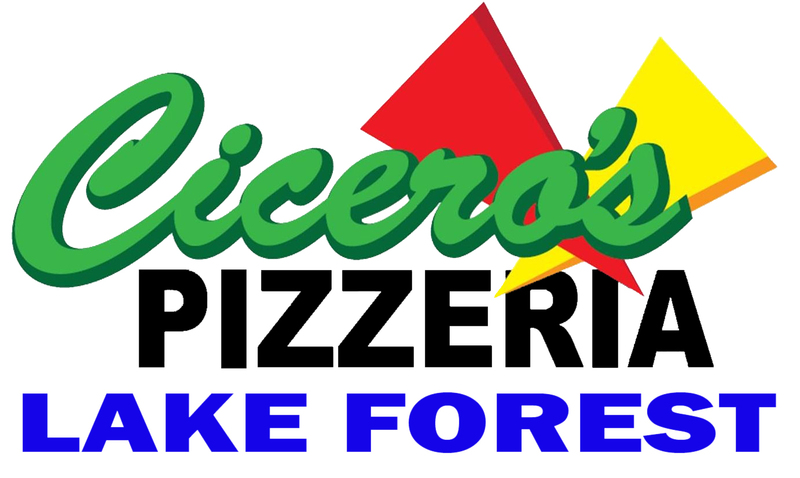 Cicero's Pizzeria is located on Trabuco Rd. at Bake Pkwy & Irvine Blvd. in Lake Forest. Order online for take out or delivery in the Lake Forest and South Irvine area. © 2019 Cicero's Pizzeria. All rights reserved.